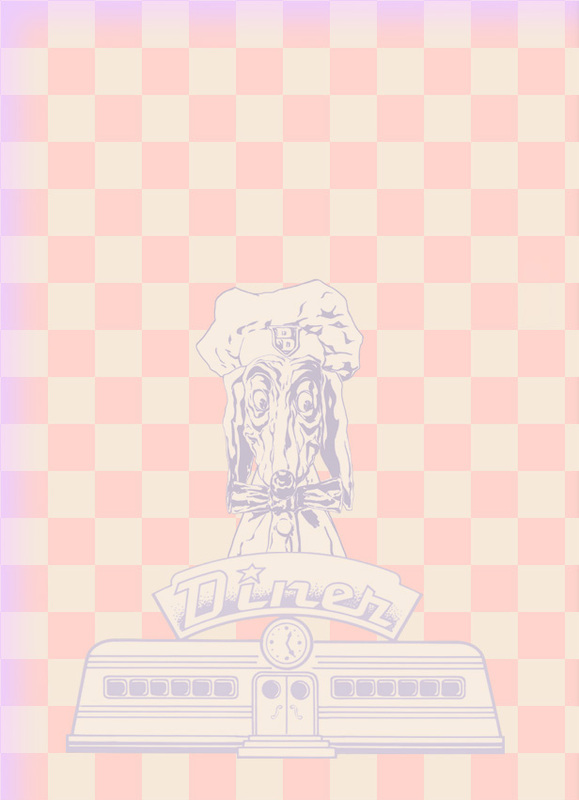 Mr. Griffith's lovably singular cartoon star Zippy the Pinhead has been in a serious relationship with the Doggie Diner since the early 80�s. 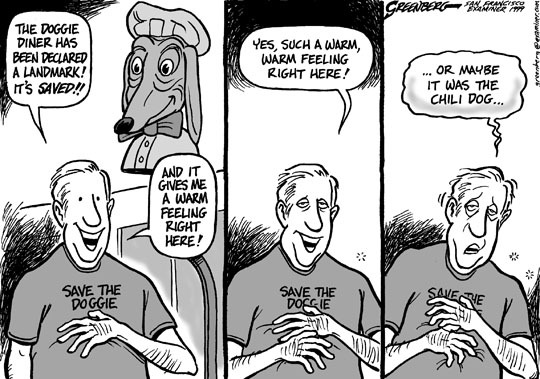 Bill Griffith has been gracious enough to allow us to post all of his Zippy/Doggie cartoon panels here at doggiediner.com. A handful of other talented cartoonists have used the Dog as a character in their ongoing cartoon strips. Here are some Miscellaneous cartoons featuring our favorite canine! We hope to include some more strips from other bay area cartoon luminaries such as Tom Tomorrow and Phil Frank!